​The process of creating a new home should be an exciting, fun, and enjoyable experience. There is nothing like the feeling of living in a home that was designed and built specifically for you. 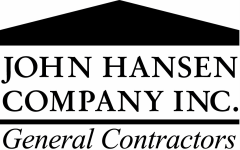 John Hansen Company takes great pride in creating that special home with your individualized needs in mind. We are skilled in everything from site selection, design, building, and selecting finishes and fixtures. We have an uncompromising commitment to quality and service. John Hansen Company Inc. won the "Best Exterior Character", "Honorable Mention for Green Building" and nominated for the "Grand Hacienda" award in the Haciendas Parade of Homes. These prestigious awards are sponsored by The Santa Fe Area Home Builders Association which organizes Santa Fe's ultimate annual open house tour.